Through a dirty window, a sky cleansed of city smog by days of rain produced an inner city sunrise that took me emotionally to many beachside moments where I have enjoyed the same experience. Reminded me that peace, rest and beauty are as much an inner state as they outer phenomena. 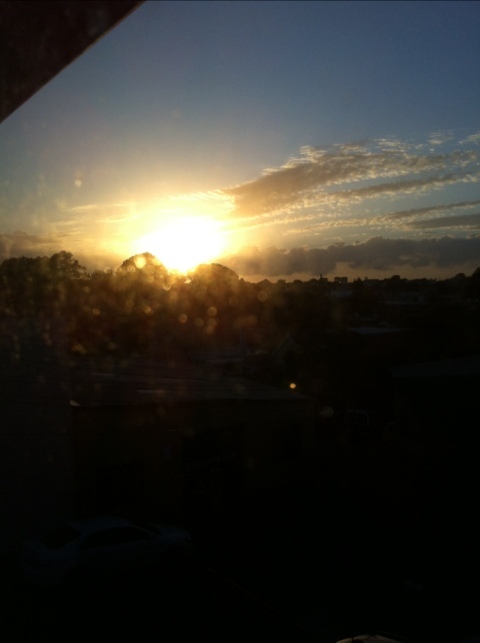 Posted in Australia, Musing, Photos, Sydney S:eye:ts.Tagged Sunrise, Sydney.